The imitation pearl handle of this razor is beautifully crafted and contoured to fit perfectly into your palm. One of the most popular, nostalgic tools of all time. 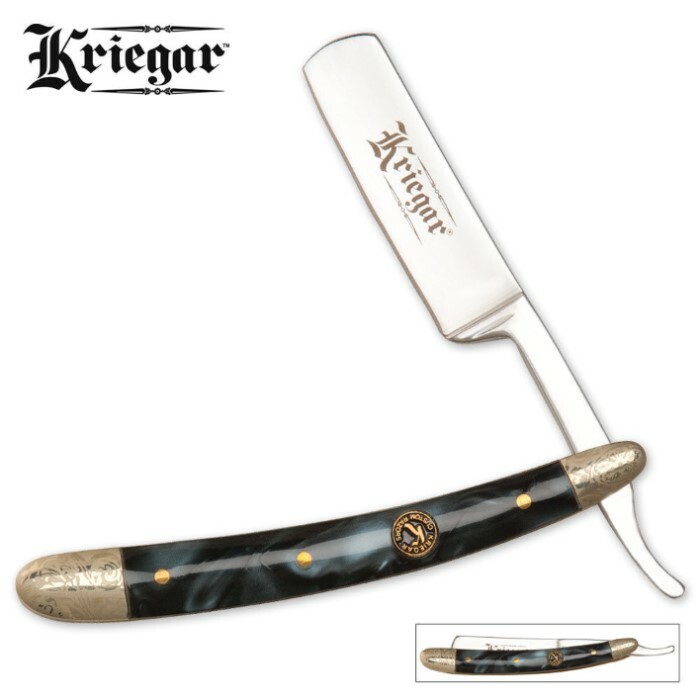 The straight razor has been around for centuries and continues to be a worldwide favorite. This stylish folding razor offers a solid stainless steel 3" blade with a mirror finish and intricate scrollwork etched bolsters. 9 5/8" overall.